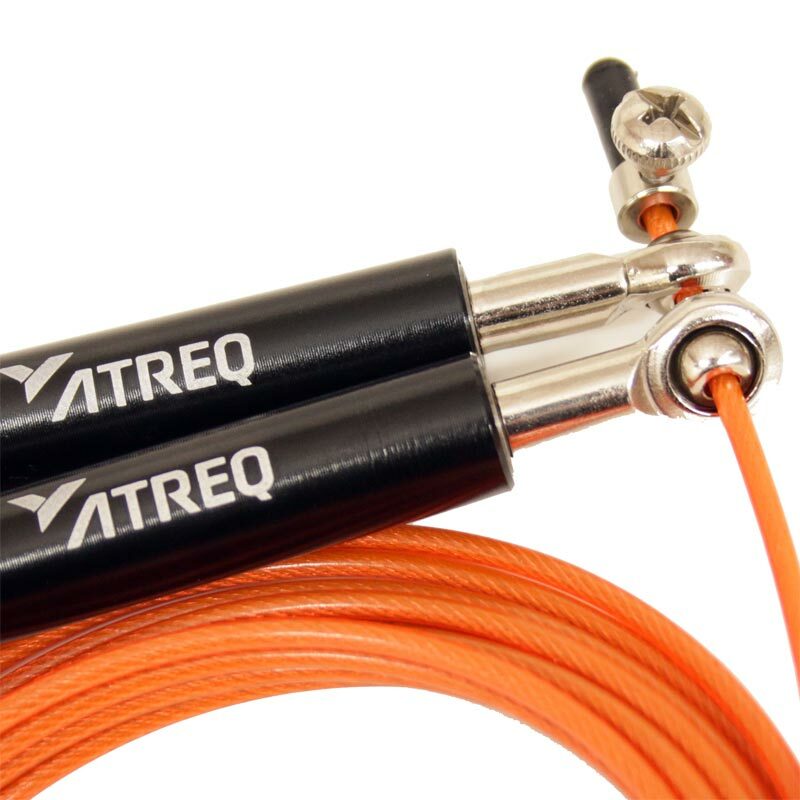 The ATREQ Elite Speed Cable Skipping Rope is an innovative double ball bearing design that swivels freely 360 degrees, allows for frictionless rotation. Aluminum handles ergonomically designed with a grippy texture for slip-free training perfect for crossfit. 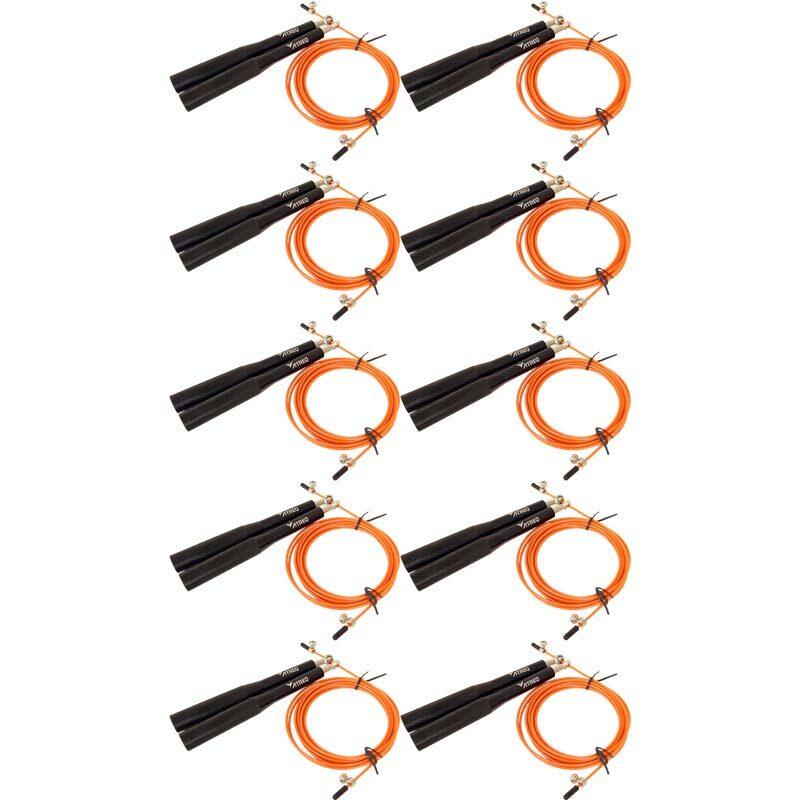 10 x Speed Cable Skipping Ropes. 2.5mm thick steel wire with a protective nylon plastic coat for durability. 15cm length textured aluminium handles. 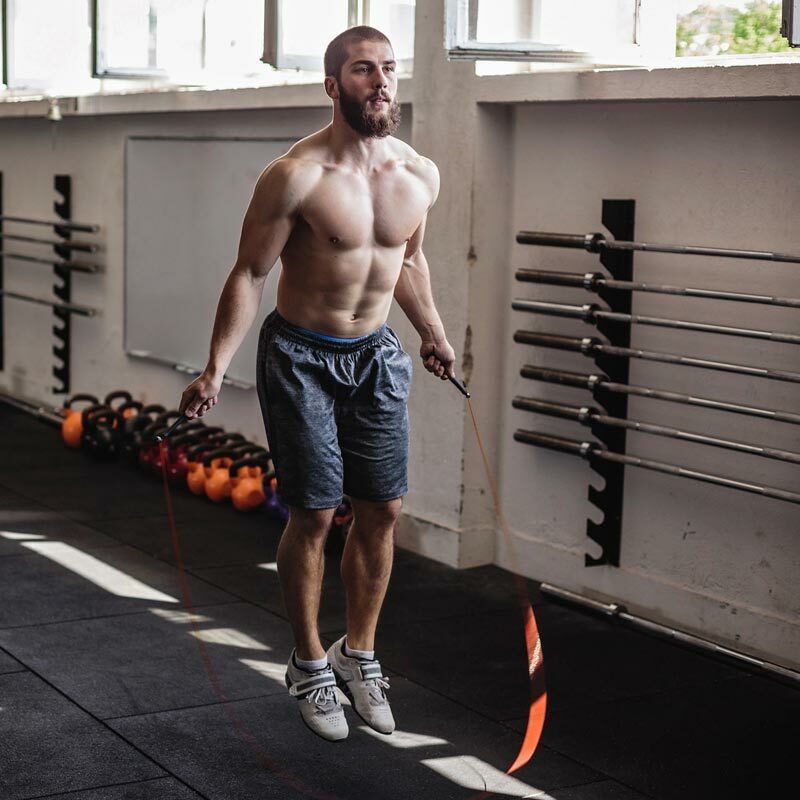 Sold as pack of 10 Skipping Ropes.